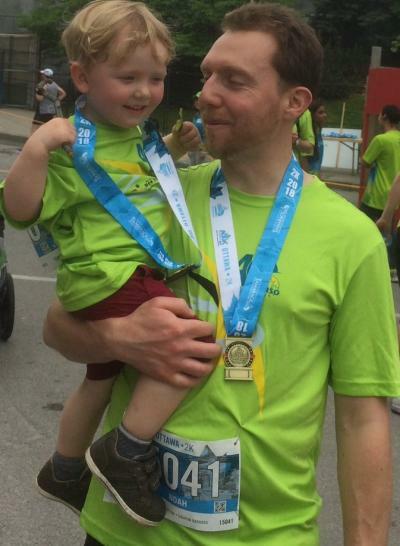 Run for a New Start 2018 – a record breaking year! 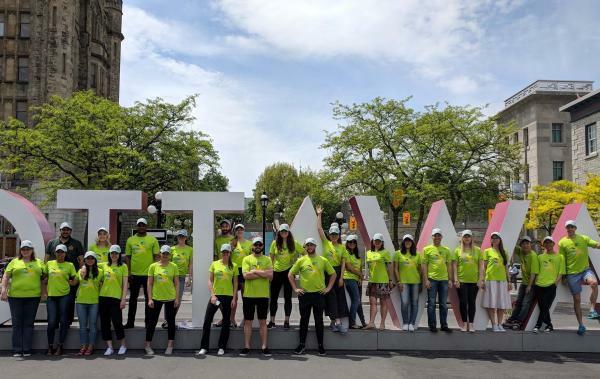 This year’s Ottawa Race Weekend (May 26-27) featured a record 165 OCISO “Run for a New Start” volunteers, walking and running in the 2km 5km, 10km, half marathon, marathon, and kids marathon events. 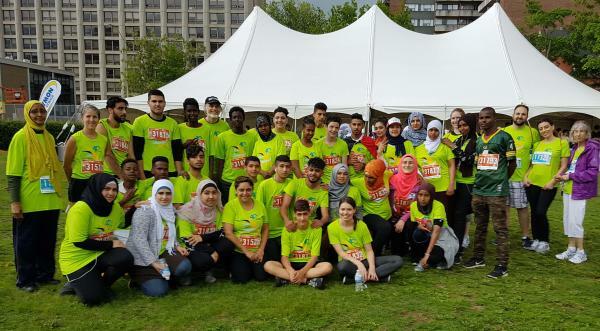 Together with their 400+ sponsors, our Run for a New Start volunteers raised a record $28,000+ to support OCISO’s programs with immigrant and refugee youth in the Ottawa area. THANK YOU! For the 3rd year in a row, our top fundraiser (with over $2,000 in donations) was our amazing OCISO volunteer, Elizabeth Gluckstal. OCISO’s Board of Directors, led by Board President Jessie Thomson, launched a campaign to honour and celebrate OCISO’s 40th anniversary year, and they surpassed their fundraising goal of $5,000. They were aided by Board member Eric Agyemang, who recruited fellow Export Development Canada employees to create an EDC team. 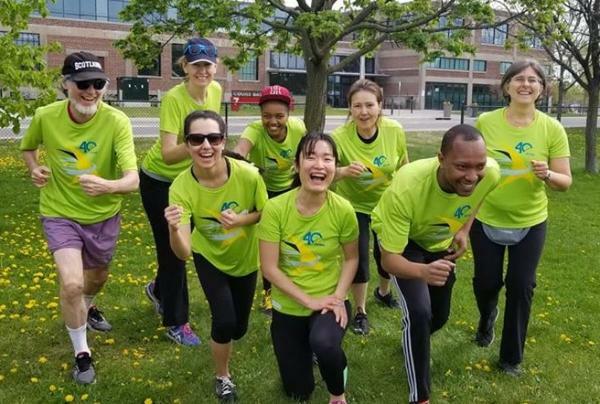 Video: Why are these dedicated OCISO volunteers Running for a New Start? A team from SurveyMonkey in the Market joined us again, and their numbers this year doubled to 30+ volunteers. These dedicated employees have raised over $2,700 so far, an amount that is matched by SurveyMonkey, to yield a total donation of $5,500+. An OCISO Mentorship Team was again launched by Karyn Steer, and they exceeded their goal of $2,000. Ridgemont High School joined us again, mobilized by their energetic ELD teacher, Nadia Gandhi. Ridgemont fielded a team of 50+ newcomer students – they created quite a stir (see CTV clip above). In addition, OCISO has received a special $1000 donation (youth helping youth) from the MapleWishes Foundation, in support of the whole Run for a New Start team. 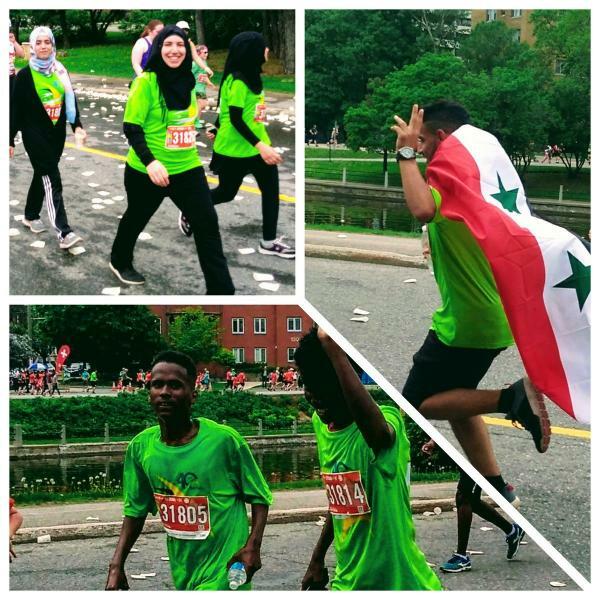 One of last year’s top fundraisers, Petronila Michael, decided this year to create her own team from amongst her many friends and they called it Run4Refugees with Petra, raising over $1,600. 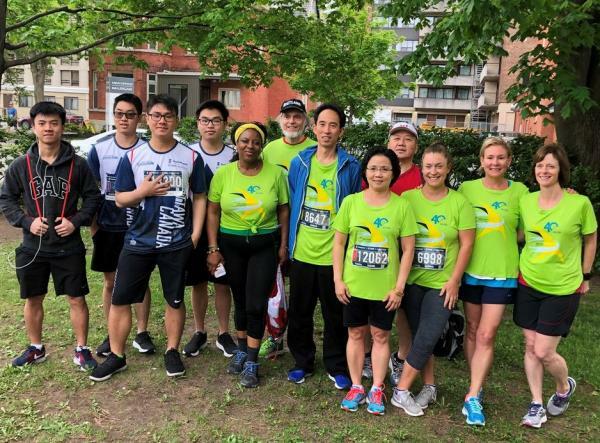 Similarly, Huong Thai, who is an OCISO Multicultural Liaison Officer (MLO), approached colleagues at Glebe Collegiate Institute, and they created a team of marathon and half marathon runners and walkers who raised over $1,400. 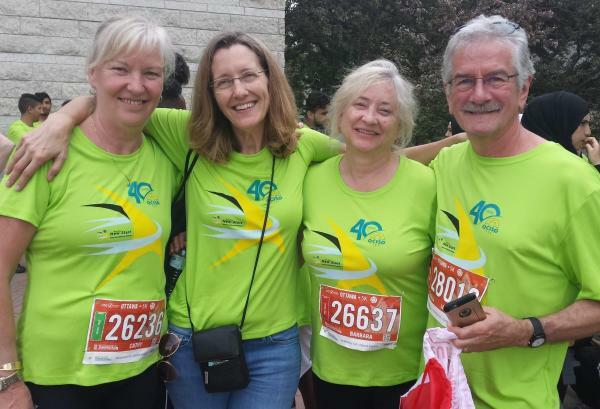 Last but definitely not least, 3 members of the Executive Committee of the Marion Dewar Scholarship Fund (MDSF) – Barbara Gamble, Jack McCarthy and Cathy Dewar – formed a fundraising team of 5km walkers who raised over $2,000 for the MDSF Fund. NB: MDSF is named after former Ottawa Mayor Marion Dewar and supports scholarships to newcomer students going on to post-secondary education in the Ottawa area. And a shout out to the Bytowne Cinema – proceeds from their tip jar in the month of June will be donated to the Run for a New Start campaign. 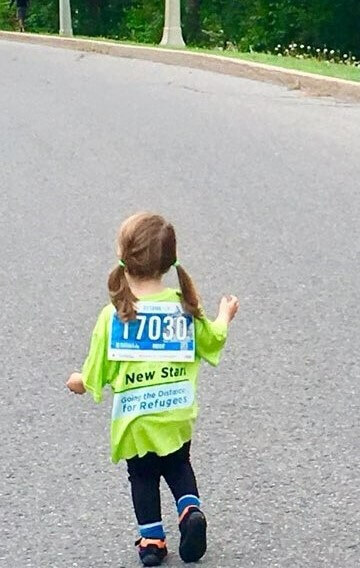 Thanks to everyone who supported the Run for a New Start team in 2018. Hope to see you again in 2019!